Attention 4-H Clubs!!! Are you creative? Enjoy sharing smiles? Do you love free pizza? waste trucks and containers for use by county residents to dispose of solid waste. Ohio Farm Custom Rates Survey-We need your help! 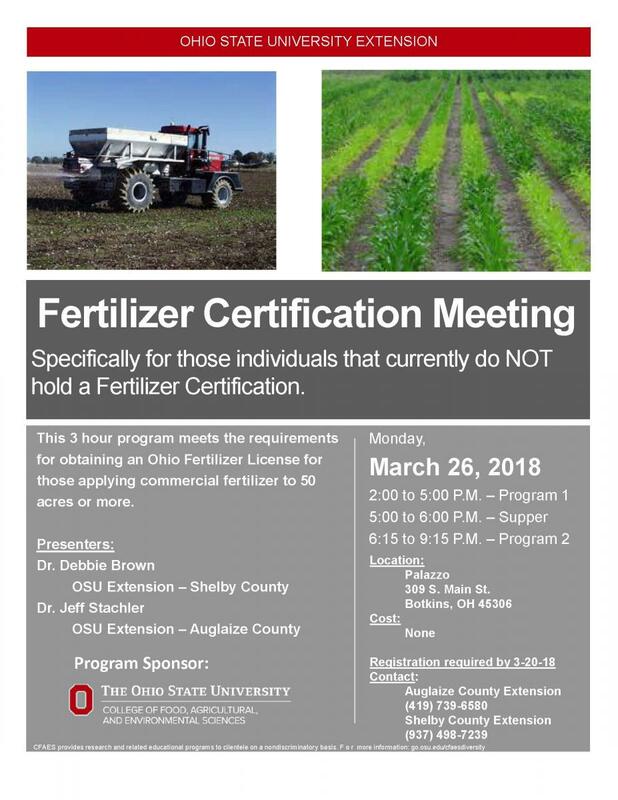 This meeting is to prepare individuals for Core and Category 1 that are planning to take the pesticide applicator exam on 3-29-18 in Wapakoneta or some other date and location.